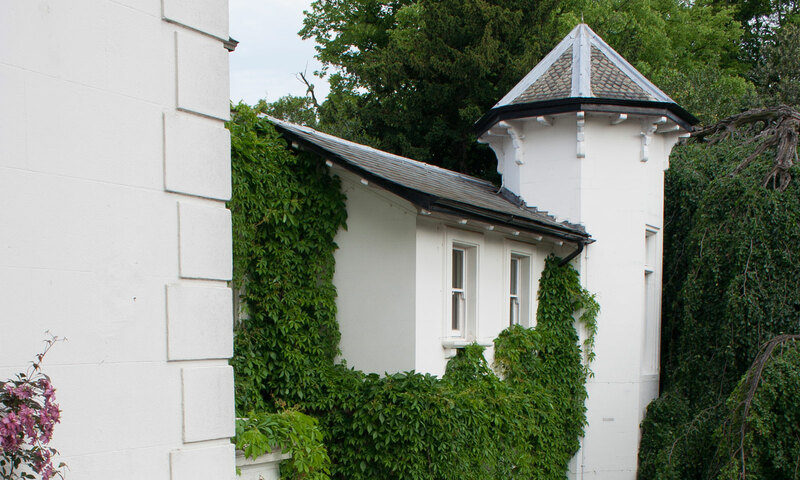 Avenue House is a Grade II listed building in the heart of Finchley, with a fascinating history, its buildings have something to offer everyone. Built in 1859 by Rev. Edward Cooper and then enlarged and renovated between 1874 and 1878 by Henry “Inky” Stephens. Avenue House is a wonderful Victorian mansion with rooms overlooking the Gardens. Lived in by Henry Stephens from 1878 the house originally included a library, school rooms and bedrooms. The house and grounds were left for public enjoyment by Stephens in his will. At the time of his death it was already in use as a Voluntary Aid Detachment Hospital and between 1919 and 1925 was the RAF central hospital before the grounds were formally opened to the public on 3 May 1928. The house was then used for many years as a public library, and as the offices of Finchley Borough Council after Council Offices in nearby Hendon Lane were destroyed by enemy action in the Second World War. In 1989 the east wing of the house was gutted by fire, but it has been restored to its former condition. The house is now a meetings and events venue, while the gardens and arboretum are open to the public free of charge. 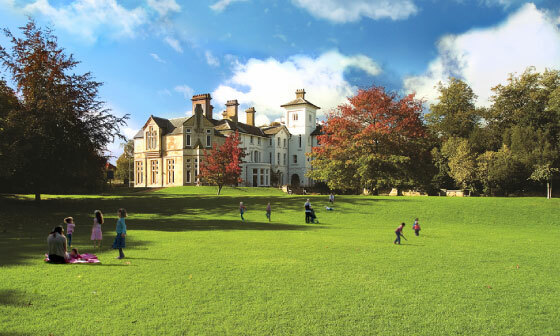 The House and Gardens are now managed by an independent charitable body, the Avenue House Estate Trust, which took over responsibility from London Borough of Barnet in 2002. The stables are a courtyard complex of buildings in a Gothic Revival Style comprising a stable range with tower on the north, a coach house on the east side and a two storey coachman's house (the Lodge) opposite the tower. The design of the dovecote attached to the stables has strong similarities to the tower of Christ’s College Hendon Lane, built by E.Roberts 20 years earlier, and may have been consciously modelled on it. The buildings were constructed in yellow brick with stone dressings and slate roofs, save the rear of the Coach House, where a reinforced concrete retaining wall matches the Bothy wall construction. The construction of the ‘Bothy’, as it is now known, was part of Stephen’s original plans when he purchased the estate in 1874, but work didn’t start until 1878. Stephens produced sketch plans for 'garden walls and buildings' shortly after his purchase of the property and prior to the appointment of a formal architect. The site of the Bothy was chosen under Marnock's guidance and its setting is integral to the landscape design as a whole. The idea of buildings as landscape elements has earlier associations in landscape design, for example the 18th Century picturesque designs of Capability Brown incorporating follies, temples and ‘ruins’. The Bothy's castellated walls, and its location as an eye catcher at the top of the cascade, fit with this romantic landscape tradition. It was also designed to be viewed from the drive and probably from the upper floors of the house. It fits well with both Marnock’s approach and that of Pulham whom he’d worked closely with constructing cascades and garden features on other commissions. Given Marnock’s role in the design and layout of the Grounds and location of the Bothy, he would certainly have had ideas as regards the structure, and perhaps the Moorish design of the castellated walls which makes it distinct and clearly different from the house and other buildings on the estate. The Bothy is a large rectangular enclosure, containing a garden with ancillary buildings to the eastern end. The buildings, divided off from the garden by a high concrete wall comprise a central two storey ‘core’ building that create courtyards either side to north & south with single storey outbuildings built into and facing inwards from the north and south walls. The Bothy is an early surviving example of reinforced concrete, the garden walls externally rendered in pebble-dash, the courtyard outbuildings in smooth render and the two storey core building smooth render finished and scored to resemble ashlar work. The Bothy was conceived to allow the whole estate to be self-sufficient, through provision of glasshouses, fish ponds and forcing pits within the garden, storage (for seed, food, tools and machinery), a dairy, an abattoir, room for farriers, and housing for the principal estate workers all being found within it. The Bothy ‘sheds’ appear complete by late 1880, given Stephens decided then to introduce a herd of highland cattle to the Estate on the adjoining Great Tapes Field, east of the gardens. The facilities of the building no doubt provided for the needs of the household and the farm, but they were also an ‘experiment’ for Stephens to explore further his interests and ideas. The Estate maintained the herd of highland cattle, a flock of sheep and a stable of Cleveland Bay Horses. It was certainly a prototype upon which he was able to develop and explore ideas that led to the creation of the Cholderton Estate, considered at the forefront of research into crops, breeding and animal husbandry from 1900 onwards and a leading example of a ‘New Model Farm’. The shell of the Bothy was completed by July 1882. It is certain that Marnock, with his ‘cutting edge’ expertise in hot houses would have advised on the internal layout including the orientation and positioning of the glass houses and forcing pits. The glasshouses were supplied by William Temple and laid out in a symmetrical arrangement on the north wall and within the garden. There was a tropical house with palms, vineries, greenhouses, cucumber, melon and tomato pits and an orchard house for some vegetables and strawberry growing. There was a well and a sunken forcing house, and there were brick cold frames which remained until the 1960s.